Annie Barrows' bestselling chapter book series, Ivy & Bean, is a classroom favorite and has been keeping kids laughing–—and reading—for more than a decade! 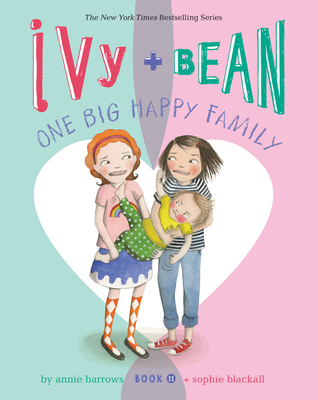 With more than 5 million copies in print, Ivy & Bean return with a brand-new book for a new generation! Ivy & Bean are back . . . and they are funnier than ever! Ivy's worried. She's read a lot of books about only children, so she knows that they are sometimes spoiled rotten. They don't share their toys. They never do any work. They scream and cry when they don't get their way. Spoiler alert! Ivy doesn't have any brothers or sisters. That's why she's worried. How can she keep from getting spoiled? She could give away all her clothes, but she'd probably get in trouble. She could give away all her toys, but she likes her toys. There's really only one solution: she needs a baby sister, on the double! Luckily, Ivy and Bean know just where to get one. Annie Barrows is the bestselling author of books for both children and adults, including the YA novel Nothing, and the bestselling novel The Guernsey Literary and Potato Peel Pie Society. She lives in Northern California with her husband and two daughters. Sophie Blackall has illustrated more than twenty books, which have won awards such as the Caldecott Medal, Ezra Jack Keats Award, and the Founders Award from the Society of Illustrators. She lives in Brooklyn, New York.